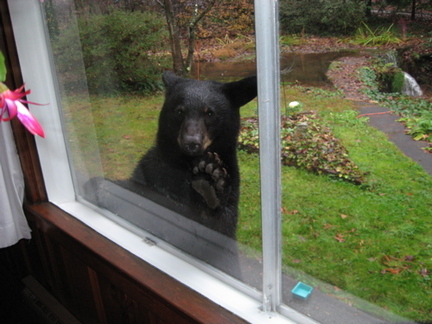 Are you tired of showing up to your Tahoe cabin on a Friday night only to find the front door wide open and the kitchen trashed from hungry bears? Electric fencing has been used in many parts of North America to keep bears away from crops, dumpsters, campsites and residences, with impressive results. These simple to operate, electric fence systems are the solution to your bear problems. A properly installed electric fence will prevent bears from entering your home. Design, quality of construction and proper maintenance will determine the effectiveness of your electric fence. The price of an electric fence system properly installed on you home will more than pay for itself in repairs and clean-ups that will be averted. The Bear League supports the use of electric fences as it teaches the bears that break-ins are not tolerated. Unfortunately female bears are teaching their cubs how to find food in the neighborhoods around the lake. This means there is another generation learning these bad habits. By using the electric fence to say “Not Here” we are training the bears to go back to foraging for food in the forests not homes.